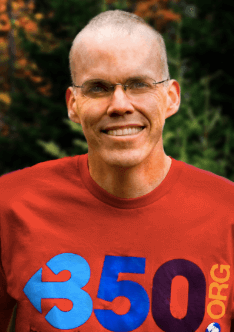 When journalist and environmentalist Bill McKibben founded the grassroots organization 350.org, nobody had heard of the Keystone XL pipeline and few were talking seriously about the need to divest from fossil fuels. Today, a pipeline considered a shoe-in by the oil industry is long delayed and likely to never get built, while more than 220 institutions – from pension funds to universities to philanthropic foundations – have committed to take their money out of coal, oil and natural gas. 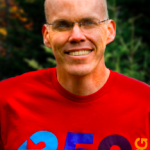 Given McKibben’s role in creating and leading this fast-growing movement, it may come as little surprise that the father of 350.org is the most influential Twitter user in the environmental community, according the Top 100 Eco-Influencers on Twitter ranking released today by Corporate Knights and Brandwatch, the social media analytics company. 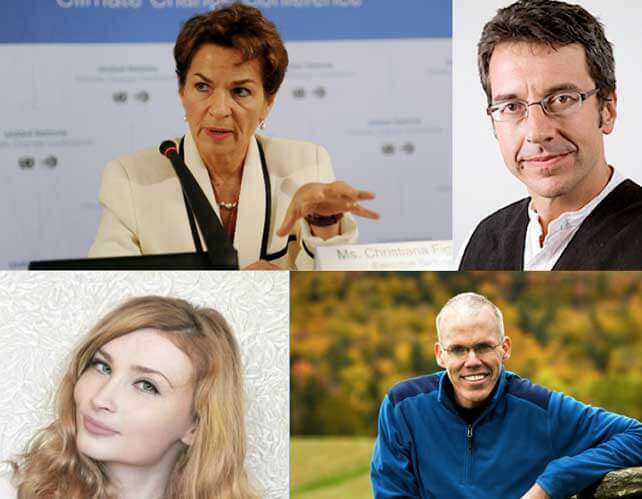 Guardian columnist George Monbiot ranked a close second, followed by environmental activist and artist Irina Tikhomirova and Christiana Figueres, executive secretary of the UN Framework Convention on Climate Change (UNFCCC). To determine the top 100 more than 100,000 Twitter users actively posting on green issues were studied, including mainstream individuals who have built a large following within the global environmental audience and professionals who work with and tweet about environmental issues. Each was awarded a “Green Score” on a scale of 1 to 100, calculated according to three different measurements: Authority, Audience and Activity. (See Top 100 list below, or click here to see it on twitter). McKibben, for example, has 149,000 followers and actively posts. But he also has highly influential followers, which indicates his strong authority and influence in the environmental community. How many times his posts have been liked and commented on also impacts the final score. 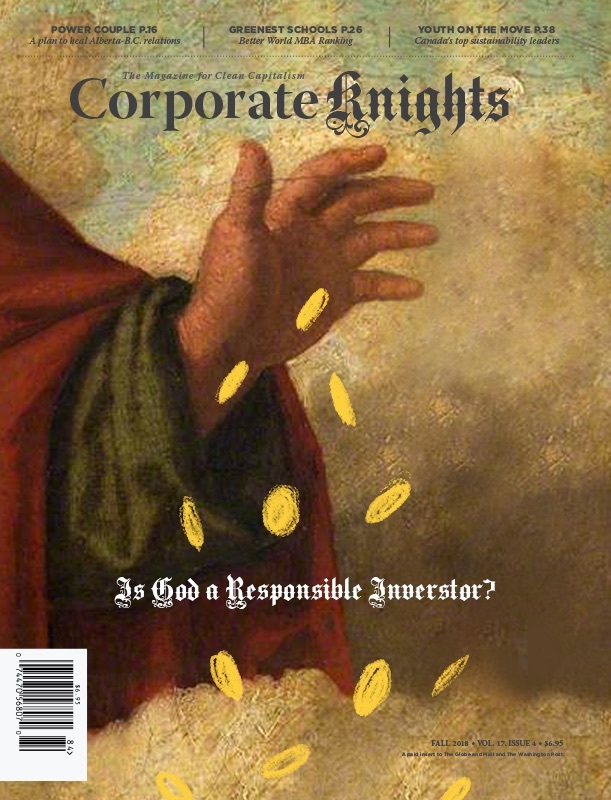 Toby Heaps, chief executive of Corporate Knights, said the Top 100 list was created so people had an easy way to follow those with the “greenest street cred” on Twitter. The highest-ranking Canadian was social activist and author Naomi Klein, who is joined on the list by Green Party leader Elizabeth May, best-selling author Margaret Atwood, environmental artist Franke James, activist Tzeporah Berman, economics professor Andrew Leach, federal NDP leader Thomas Mulcair, and green economy evangelist Jim Harris. Former U.S. vice-president Al Gore is among the highest-profile names on the list, along with actors Leonardo DiCaprio and Mark Ruffalo, Tesla and SpaceX founder Elon Musk, and billionaire businessmen Michael Bloomberg, Tom Steyer, Richard Branson and Bill Gates. Journalists dominated the list, many of them having written for Corporate Knights in the past, including Monbiot, David Roberts of Vox (formerly Grist), freelancer Marc Gunther, Greentech Media editor Stephen Lacey, and Wall Street Journal columnist Christopher Mims. Michael Mann, director of the Penn State Earth System Science Center, was the top-ranked climate scientist at eighth place, followed by the Pacific Institute’s Peter Gleick, IPCC vice-chair JPascal van Ypersele, and Gavin Schmidt at NASA. 26.00 Naomi Klein @NaomiAKlein They say I'm polarizing 89.00 ? 50.00 Clara Jeffery @ClaraJeffery Co-editor of Mother Jones. Mom. One very tired lady. (Hats via @darth) _T: 37.770364,-122.410351 88.00 ? 63.00 Sarah Kliff @sarahkliff I write for Vox. Formerly: Washington Post, Politico, Newsweek and, back in the day, Student Life. Health-care nerd. sarah@vox.com Washington, DC 86.00 ? 72.00 Christopher Mims @mims Technology columnist at @WSJ. Texan. Baltimore, Seattle, New York 86.00 ? 75.00 Duncan Green @fp2p From Poverty to Power blog links and tweets from Oxfam's Senior Strategic Adviser, Duncan Green. Usual disclaimers. UK 86.00 ? Interested in following any of the Top 100 Eco-Influencers? We created a twitter list to make it easier for you.